Not long ago, the options for having full-fledged meals delivered right to your doorstep were decidedly limited – eating a home cooked meal meant you had to do the shopping, the planning, and the cooking on top of work and other responsibilities. Today, however, meal delivery services are changing this. Since 2012, we’ve been experiencing a meal delivery revolution as more and more companies deliver everything you need to make a delicious meal to your doorstep. Meal delivery services, which are also known as meal kit delivery services, make it easier than ever to eat healthy and quickly on a budget. These meal delivery services bridge the gap by providing customers with recipes and pre-portioned ingredients for healthy, delicious meals that can be prepared quickly at home. According to USA Today, meal delivery services are now a $2.2-billion-per-year industry. That figure is expected to increase by 30 percent per year over the next five years, so it’s safe to say Americans have wholeheartedly embraced the meal kit delivery trend. When you consider how easy and convenient these services tend to be, it’s easy to see why. Popular meal kit delivery services like Blue Apron and HelloFresh are subscription-based; after initial signup, kits are automatically delivered on a regular basis. These kits typically include recipes that are clearly printed onto quality card stock. Meal prep and cooking tips are included, so you can pick up some new skills. Most importantly, kits include the exact ingredients in the exact portions that you need to create your meal, so nothing goes to waste. At home, all you usually need on are staples like cooking oil, eggs, and salt and pepper. Everything is packed in carefully insulated cartons, and cooling packs are used as needed. Fresh meals are typically good for up to 24 hours after delivery or for up to four to five days when kept refrigerated. You’re billed monthly, but most services allow you to skip weeks or to cancel at any time. 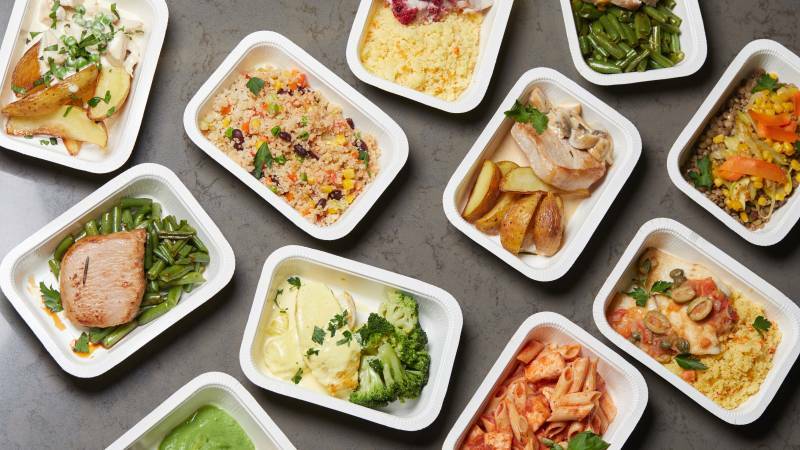 Will signing up for a meal delivery service save you money? It depends. When it comes to assessing the cost of this type of service, it’s important to realize that savings aren’t fully reflected in the prices of individual meals. On average, for example, meals from these services cost between $9 and $12 each. Meal delivery services like Blue Apron charge around $60 per week for two people or around $70 per week for four. Shipping is included, so you save money by not having to drive to the grocery store, which can really add up with gas prices. You receive only the ingredients you need, so nothing goes to waste. Many times, ingredients are even pre-portioned and pre-prepped, which eliminates the need to chop, slice, peel, measure, and otherwise prepare everything. If you are following a special diet, you’ll also save time and money, making it easier for you to stay on track. What Makes Meal Delivery Services Good for Anyone? If you think meal delivery services only make sense for people who have expendable income or exceptional culinary skills, think again. Currently, there are more than 100 such services operating in the U.S., and many of them specifically cater to specific types of people. Across virtually all of the most popular services, you’ll find a high level of customization that makes it easy to arrive at a suitable solution. Regardless of your age, cooking skills, or dietary needs, there’s sure a meal kit delivery service for you. You can take your pick from dietary options like vegetarian, vegan, gluten-free, paleo, diabetic, and even kid-friendly. Some services specialize in providing fresh, organic, locally sourced ingredients, while others focus on providing meals that are virtually ready to go upon delivery, which are terrific for the busiest people. More than anything, however, meal delivery services are perfect for anyone who wants to reduce stress around preparing meals. How Much Time Can Meal Delivery Save You? When you think about how much work goes into preparing a single meal, it’s easy to see how meal delivery services can save a lot of time. Preparing a meal that’s been delivered is very straightforward. You don’t have to look up recipes because your menu will already be customized to your needs. There’s no need to write a list or to go to the grocery store at all, a huge time saver. Meal kits are designed to be as quick and easy to prepare as possible. Some are already prepared and just need to be cooked. Others come with pre-measured ingredients. Meals are designed to be prepared using as few pots and pans as possible, so cleanup tends to be a breeze. If you’re committed to healthy eating but lack the considerable time needed to do it yourself, meal delivery services are an absolute godsend. As busy as you are, having meal kits delivered to your door is a great way to reduce stress. Great introductory offers and promos are available for today’s most popular services, so it’s easy to give it a whirl without breaking the bank. Do your research and sign up with a delivery service to start saving time and money today. Interested in getting started with a meal delivery service? Start a search today.